1. How can I get involved? 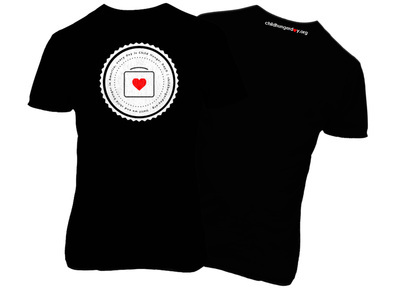 Buy the shirt - spread the word - take the challenge - feed the kids. It's a simple and creative way to change the face of child hunger! It only takes one dollar a day to change the life of a child dealing with hunger in America. The kids are counting on us! 2. What is the money that is donated to Child Hunger Day Nashville used for? a. The money raised for Child Hunger Day Nashville goes to help feed and inspire children affected by hunger right here in America. It is also used for special programs and campaigns that bring increased awareness and relief. The funds raised on 11.10.2016 support The Bridge who have been serving and feeding homeless and hungry kids since 2004. 3. Do you collect food or conduct can food drives? a. No. We leave that to the others. Our team may participate in one but there are literally countless agencies around the country that do this and we are cheering them on! We aren't here to reinvent the wheel, we are here to keep the wheels rolling. It's really that simple. 4. What exactly do you do at Child Hunger Day? ﻿OUR GOAL IS SUPER SIMPLE.﻿ We educate, engage and empower kids all over the nation to take action in the fight against child hunger. America has become the new mission field. You don't have to fly thousands of miles to a foreign land to find hungry children who are in need. We have 17 million hungry children in the United States and 4,000 are right here in Nashville and Middle, TN. It's time that we did something about it. Our own kids are extremely valuable and definitely worth saving. 5. I noticed that you have a Jr. Ambassadors and I find that concept very interesting. I love the fact that CHD is a project by kids for kids. How does this work? a. We decided early on that for this project to really scale and be successful, we needed to empower the kids who are the 4 out 5 who have never encountered child hunger and get out of their way so they can creatively get the job done. We could do like everyone else and focus on the 1 out of 5 kids that go to bed hungry every single night but that would be totally redundant. Instead, we have chosen to do just the opposite. We are focusing on the kids who can actually change the face of child hunger forever and we are letting them lead the way. 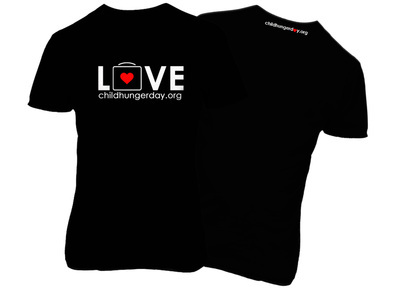 Hundreds of kids around the nation are signing up to raise funds for Child Hunger Day. For every hungry child, we are enlisting a blessed child to stand in the gap and raise a minimum of $365. It only takes a dollar a day to feed a hungry child! 6. Why shouldn't I just give to the charity of my choice on Child Hunger Day? Does it really make that big of a difference? a. The difference is really simple. We use leveraged favor in our organization that can most times double the actual gift that you give, through other areas, resources and partnerships that we've developed on a national level. We know how to multiply the fish and loaves and our main goal is to make a major impact on child hunger. If we all work together, we can help undo child hunger in America. 7. Can I volunteer to help on Child Hunger Day? a. Yes! There are several ways that you can partner with us. We would love to send you a volunteer packet to ensure that you have all the proper information and materials to convey the message. Buy the shirt and spread the word! Take the Child Hunger 365 Challenge. It only takes one dollar a day to change the life of a child dealing with hunger. Also, we need you, your friends, family, and your circle of influence to be in your local participating Chick-fil-A on the Child Hunger Day "Spirit Night". The best way to volunteer is to sign up on the donate page as a sponsor and start a fundraising page to engage people you know to sponsor you. If you work in a business or corporation, you may want to see if your business has a matching fund available so you can take your fundraising efforts to the next level. If you are in a civic group or church, you may check to see if they would be interested in doing a fundraising project or receiving an annual one-time sacrificial offering for Child Hunger Day. There are many other ways to volunteer and they will be outlined in your CHD Volunteer Kit. Thanks for all you do to help change the face of child hunger in America. © 2016 Child Hunger Day | All rights reserved.